Patrick Nolan was born in Kilkenny, Ireland, in 1860, son of Thomas and Margaret Nolan. He died suddenly at his Oxford Street residence on 24 May 1904, aged 42, survived by his wife and three children. He was interred at Waverley Cemetery. 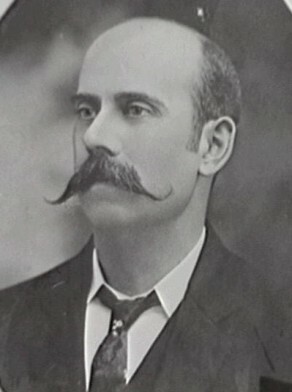 Patrick Nolan arrived in Sydney in the Liguria in 1884. He was employed by Robert Miller & Co until 1894 when he opened his grocery business in Princes Street, Church Hill. He was appointed Justice of the Peace in 1896. In 1902 he moved to his expanding Oxford Street store and in 1903 he sold the Church Hill business. A drinking fountain in Grosvenor Square was named in his honour. Patrick Nolan was Alderman for Gipps Ward from 7 December 1900 to the time of his death on 24 May 1904. He was a member of the Works Committee, 1901 and 1903-04, the Finance Committee in 1902 and the Park and Recreations Committee in 1903. He was a member of the Reform Party.